Thank you so much for visiting and leaving your sweet comments. Comments are like presents to bloggers, you know. First stop this morning is to visit Betsy at Estelle's. Next go visit BJ of Sweet Nothing . BJ's blog was the first one I ever found and I'm still a loyal fan of hers. neutral touches that will knock your socks off. Last stop today is see Aimee at It's Overflowing. Aimee features a Dreamy Dwelling House Tour each week that always catches my attention. Behind the scenes here we are working hard to make this a great blog hop. Click here to visit Day 1. Good Morning Miss Stacey! 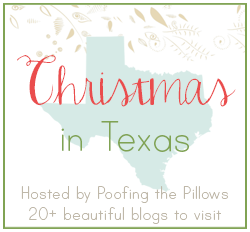 This has just been sheer delightful to meet and visit Texas bloggers! Thank you so much for hosting and sharing your lovely blog! We are certainly enjoying the tour.....hugs!!! This is so much fun! Off to visit everyone! Stacey, another fabulous day of Christmas in Texas. This blog hop is a wonderful idea. I hope we make it an annual tradition. Thanks for all your efforts. I'm really enjoying these Christmasy tours, Stacey! Everything looks so beautiful and festive. Love it all! It's always such fun to see how everyone decorates for Christmas. Loved it! Everybody's home is so cute! I love it! 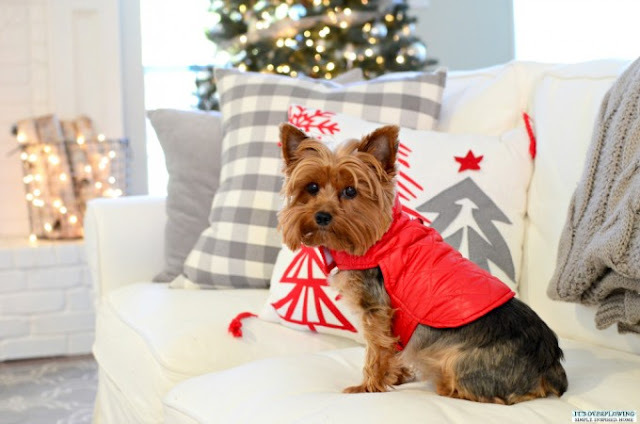 I'm late in getting to a computer today but am looking forward to some Christmas blog hopping right now! Just to let you know I am thoroughly enjoying my pre Christmas tour around Texas. Hi Stacey, have not had a moment to visit, but going to now. I will have to catch up on yesterday's tour. I am not familiar with a couple of these gals. Looking forward to meeting them! All of you Texans are so talented and I'm proud to call most of you friends. Off to see those on your tours, Stacey!! Thanks! I love that saying...'comments are like presents to bloggers'. So true. So I thought I'd leave one and let you know this blog hop is fabulous! So many beautiful homes out there.